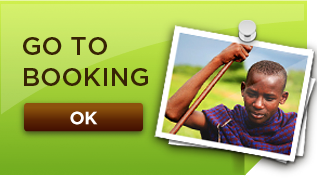 Fair Travel™ Tanzania is a unique non-profit tour operator. Wildlife safaris, Mount Kilimanjaro expeditions and other Tanzanian adventures are offered with affordable and transparent pricing, staff who are not dependent on tipping, tours that are CO2 off-set and where 100% of net profits are channeled into conservation. We will make you fall in love with Tanzania and make sure that …your footprints matter. Fair Travel™ comes highly recommended by Bradt Travel Guides, Henry Stedman’s Kilimanjaro – The Trekking Guide to Africa’s Highest Mountain and reviewed on forums like TripAdvisor, Safari Reviews and Facebook. Our guests have trusted us to maximize their holiday plans and then referred us to friends, family and all sorts of like-minded travelers. This has helped us grow the positive impact we contribute each year since 2010. We are ready to make the most of your Tanzanian holiday and include you in the Fair Travel™ success story – Karibu Tanzania – Welcome to Tanzania! Already got an offer from other company? Send it to us for a fair review and challenge.